Cut out the arms on a band saw, referring to the anatomy for their shape. There is both a right and left arm, so be sure not to mix them up. Round over the edges of the arms with a router fitted with a round-over bit. 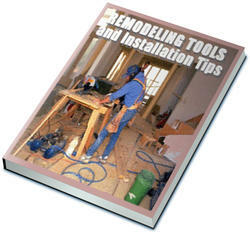 Then use a bevel gauge to transfer the angle of the chair back to the back edge of the arm and make the cut on your table saw. This will allow the arm, which is horizontal, to fit flush against the chair back. Then drill a hole the same diameter as the cross-dowel bolt through the arm into the arm post. Make sure you drill straight. Next, bore a hole into the arm post for the cross-dowel connector about 2 inches from the top of the post, intercepting the bolt hole at 90°. Insert the connector in its hole, then slide the bolt into position and tighten it with a hex wrench (right). Install cross dowels in the same fashion to connect the back of the seat to the arm. Repeat the procedure to attach the second arm. How to install cross dowel? 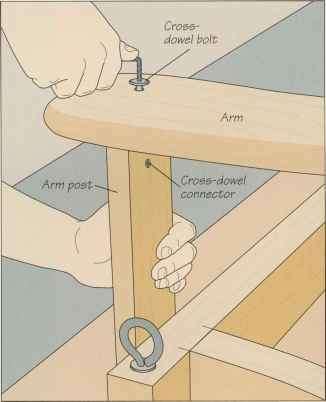 How to attach cross dowels? 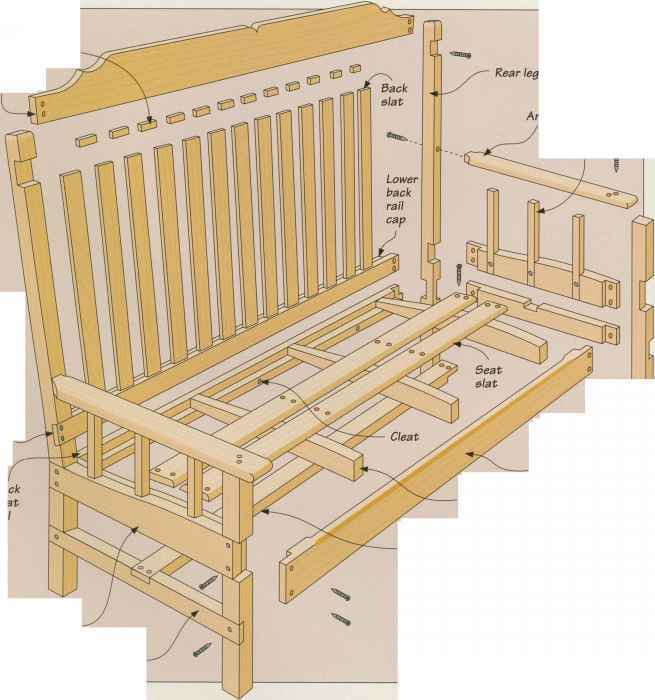 How furniture arm is attached with dowls?